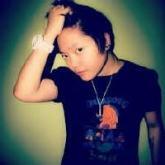 Rumors run like a wild fire suggesting that Philippine singer Charice is preparing to come out as a lesbian. The report emerges after she was pictured sporting a new boyish look after staying out of the limelight for a little while. Her last tweet dated November 2012 and her last TV project as a judge on the Philippine version of "The X Factor" aired around the same time. ABS-CBN, the local TV network airing the singing competition, has an interview posted on their online news website with Charice's mother Raquel Pempengco concerning the petite singer's alleged sexuality preference. The mother says she's allowing her daughter to "confirm her real identity" and she will be by her side every step of the way. "What my heart and mind is telling me as a mother is to allow her to reveal her real gender preference. Whatever path she wants to take, because that is where she would find happiness," Raquel said in Filipino as quoted by ABS-CBN. "I will respect what she will reveal to the public because it is through that disclosure that she will find happiness and liberation." In some new pictures hitting the web, Charice is seen sporting short hairstyle and wearing masculine outfits, which is a far cry from her feminine look when she first broke into the showbiz business and appeared on "Glee". Her godfather, columnist Bum Tenorio, teased that she also got some tattoos. He said that Charice was "very happy and content with her life now."